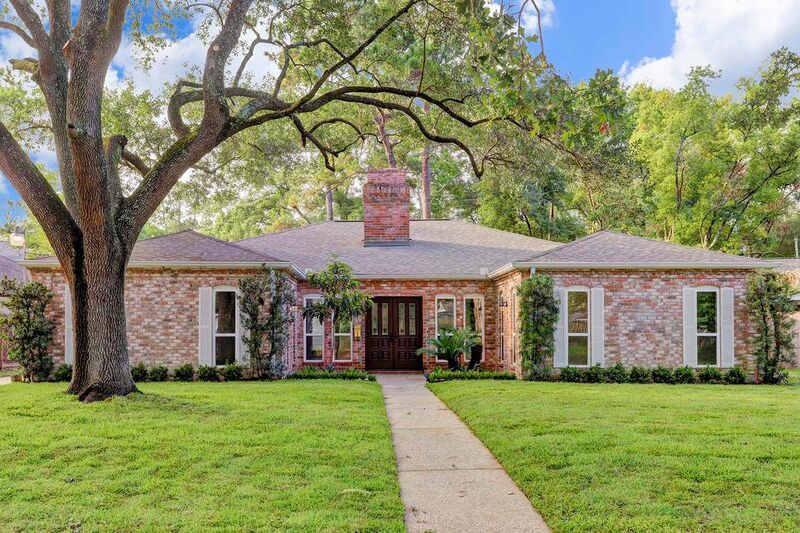 10010 Green Tree Road, Houston, TX 77042 | Martha Turner Sotheby's International Realty, Inc.
Gorgeous 4 bedroom home located in a prime spot on the North side of desirable Briargrove Park! 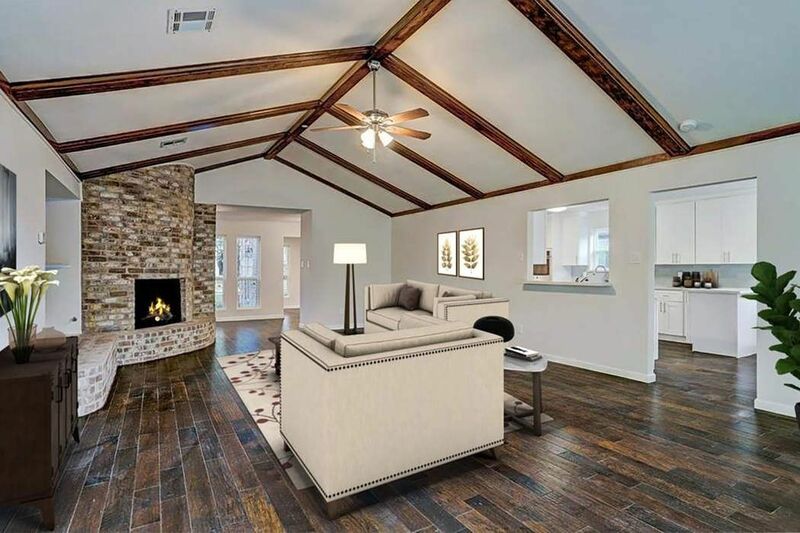 Home completely remodeled to perfection! Light flooding during Harvey allowed for beautiful rehab! Light filled entry featuring leaded glass front door and abundant windows. 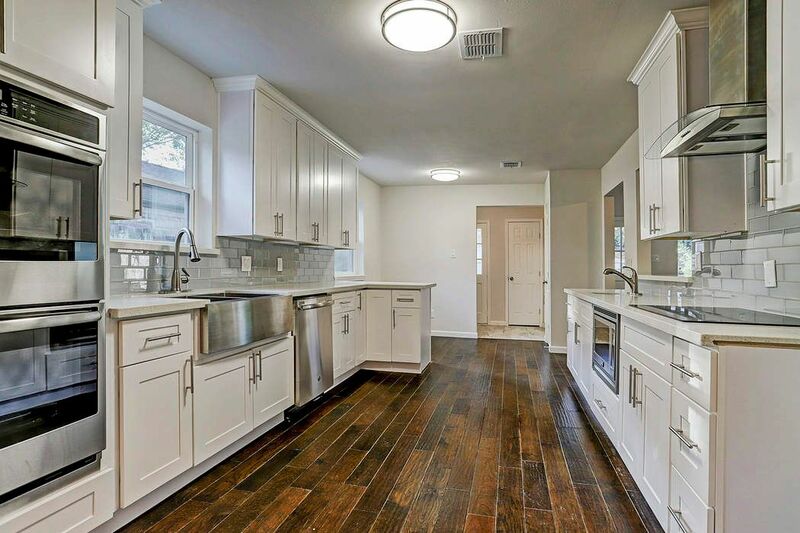 The fabulous KITCHEN-16X11-features abundant cabinetry, quart countertops, charming glass subway tile backsplash, SS appliances,double ovens, electric cooktop, built-in microwave, double sink, breakfast bar and hardwood flooring. 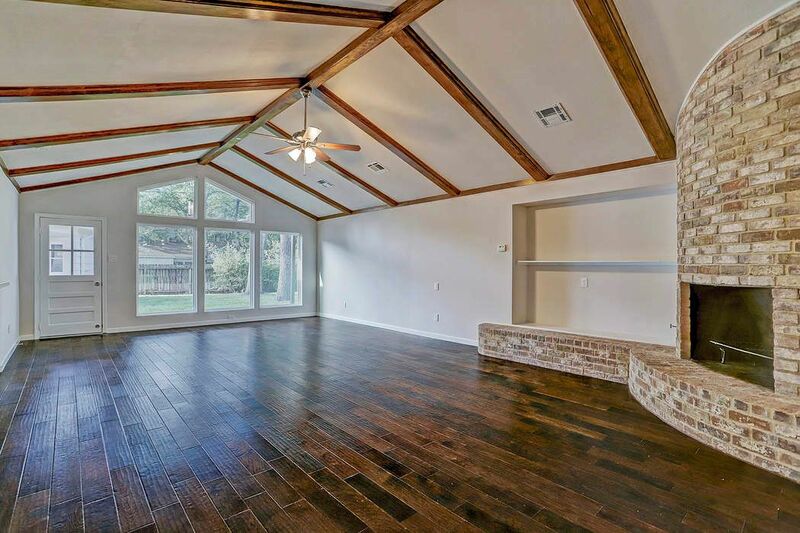 The spacious DEN/FAMILY ROOM-28X20-features a dramatic vaulted ceiling with exposed beams and ceiling fan. Additional features include a gas fireplace with charming brick surround, built-in shelving and rich hardwoods. Additional view of the wonderful family room highlighting the wall of windows and access door to patio and backyard. 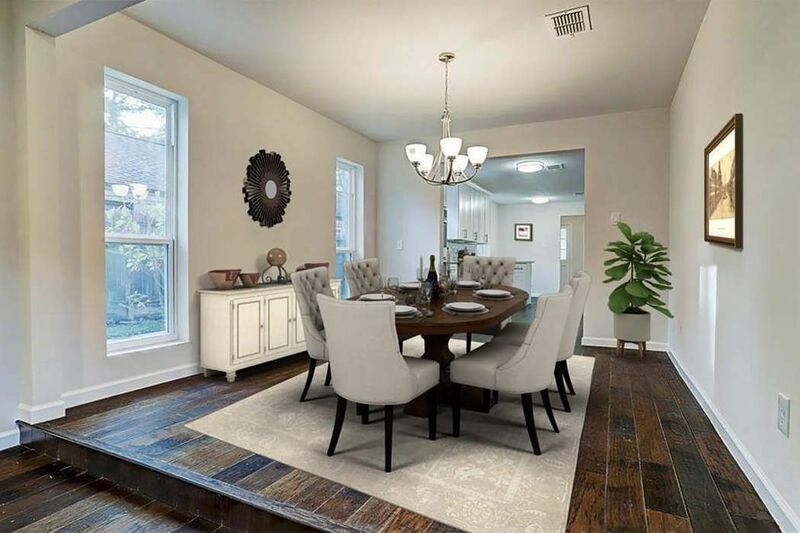 The elegant DINING ROOM-12X11-features a modern chrome chandelier, great windows and hardwoods. 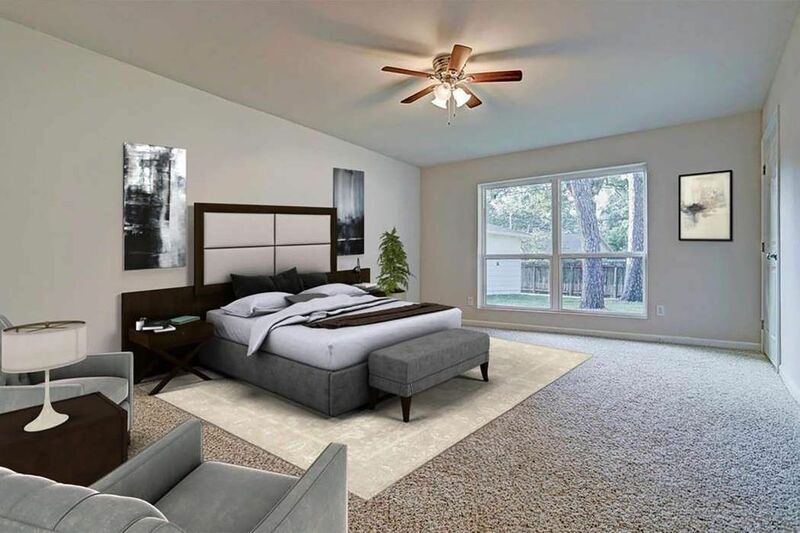 Expansive MASTER RETREAT-18X14-featuring a ceiling fan, dual closets, plush carpet, en-suite bath and large window offering views of the lovely backyard. 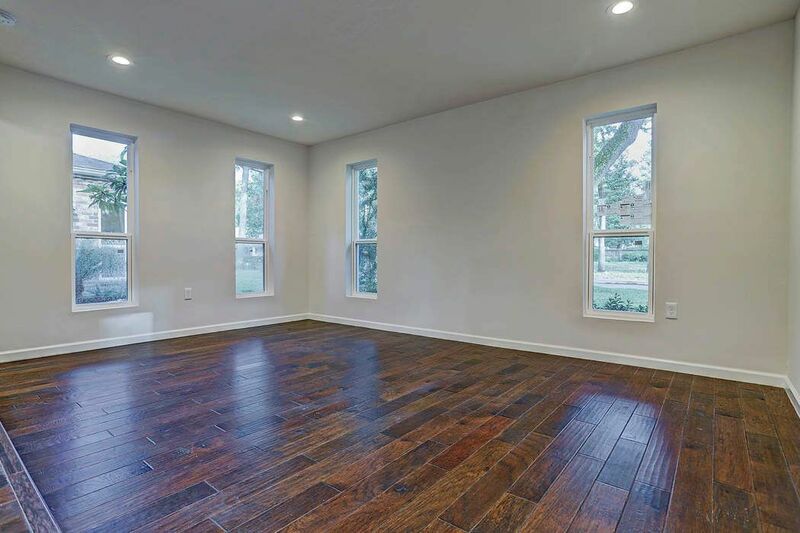 LIVING ROOM-17X12-features recessed lighting, abundant windows and elegant hardwoods. 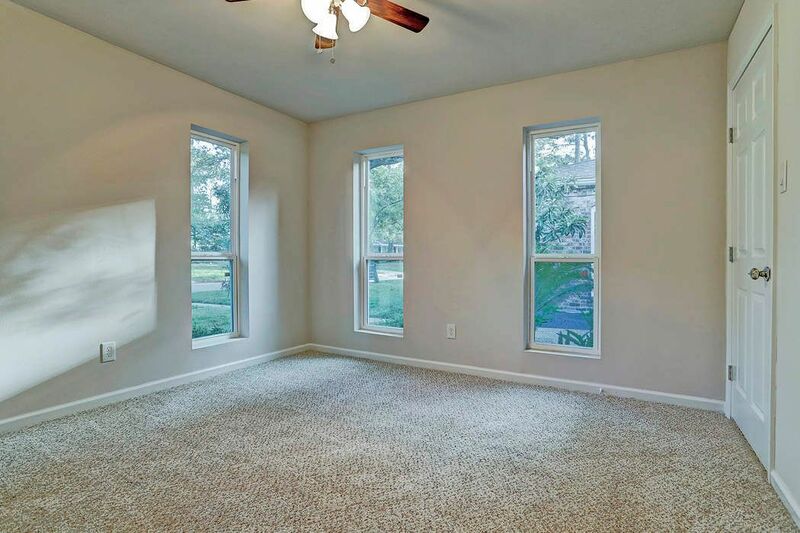 SECONDARY BEDROOM-14X11-featuring a ceiling fan, abundant windows and plush carpet. 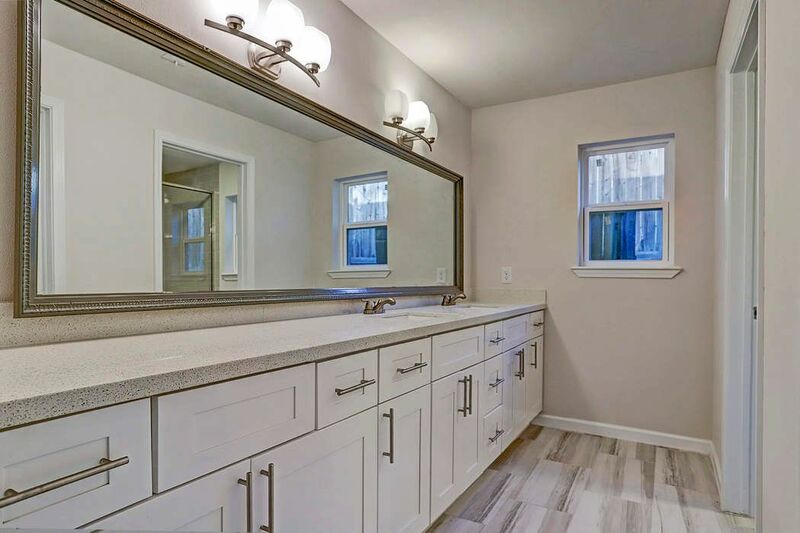 MASTER BATH featuring designer lighting and fixtures, expansive framed mirror, quartz countertop, dual sinks, seamless glass shower and tile flooring. 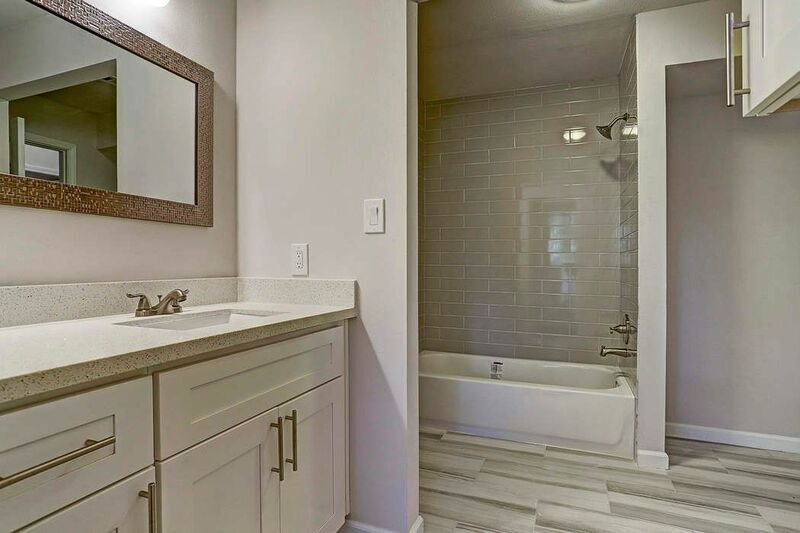 HALL BATH-featuring designer lighting and fixtures, framed mirror, quartz countertop, tub/shower combo with subway tile surround and tile flooring. The pool size backyard is fully fenced and features fresh professional landscaping, patio and mature trees. 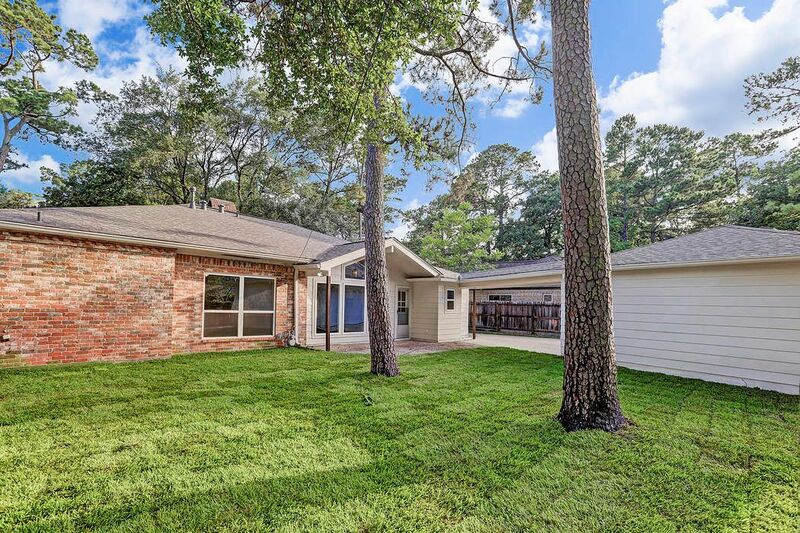 $569,000 4 Bedrooms2 Full Baths2,731 sq. ft.
Gorgeous home located on the north side of Briargrove Park. 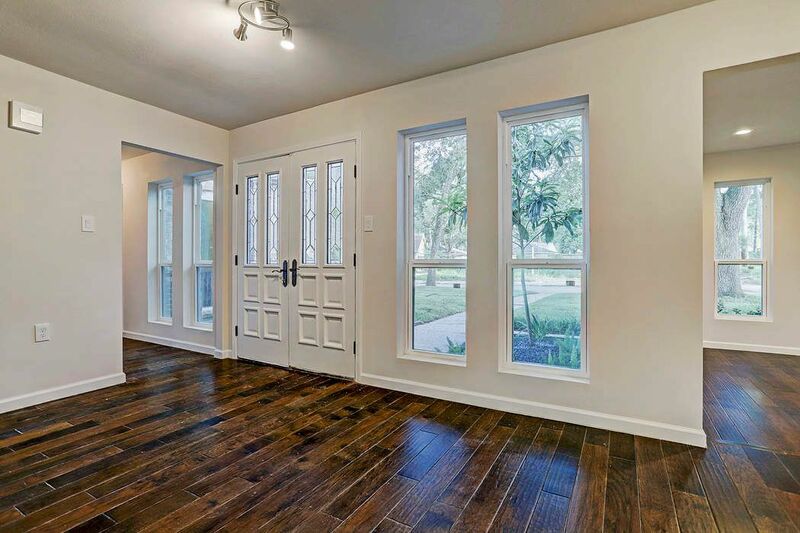 Home flooded for the first time during Harvey and has been completely remediated and remodeled to perfection. Amenities include recessed lighting, hardwoods in kitchen and living areas, expansive den with vaulted ceiling and exposed wood beams, kitchen with quartzite countertops, state-of-the-art stainless steel appliances, double ovens, electric cooktop, gorgeous baths, fresh carpet in bedrooms, recent driveway and more.